The Kroc Center, a community center in Guayama, Puerto Rico, has been restored by PRWT/U.S. Facilities, the largest minority-owned company in Puerto Rico, since Hurricane Maria devastated the island in September of last year. Photo courtesy of PRWT. 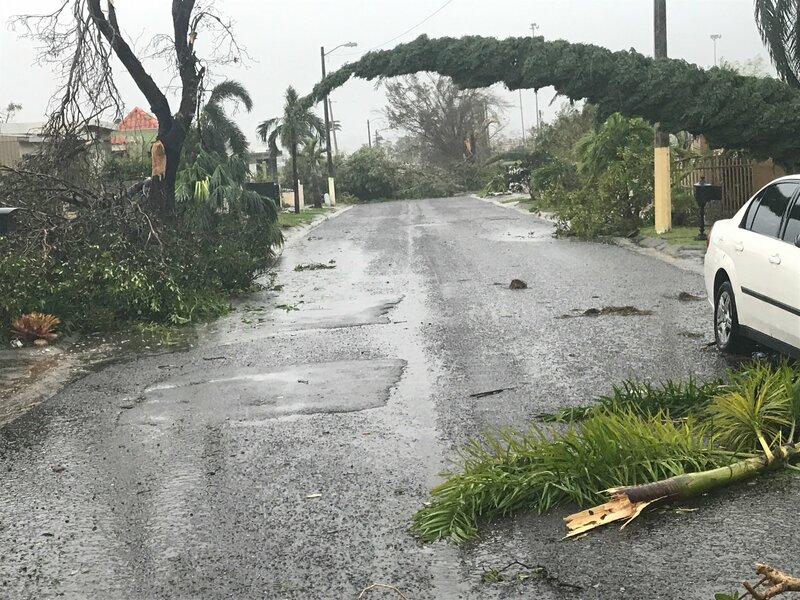 Across the island, private and public sector companies and organizations have worked to restore Puerto Rico’s facilities to full power after Hurricane Maria’s landfall on September 20, 2017. Even as the island draws closer to the one-year anniversary of one of the worst natural disasters in United States history, and confronts what may come in the new hurricane season that has already begun, many of Puerto Rico’s facilities are still not yet fully restored. But in the town of Guayama, the Salvation Army Ray & Joan Kroc Corps Community Center is close to being completely restored and has served as an essential resource for the surrounding community throughout their recovery thanks to the efforts of Philly’s largest minority-owned company, PRWT, which has managed the center through its U.S. Facilities division in 2017. Founded in 1988, PRWT is focused on providing business process solutions, document processing, and facilities management and infrastructure support services. PRWT employees worked to have the building back up and running by early October, just weeks after Maria hit the island. The center itself proved vital in the months after Hurricane Maria devastated the island, as volunteers and members of the Salvation Army team that worked there were able to give out meals and provide phone service, as well as a cool place to stay, for community members suffering from the effects of the hurricane. Over the following weeks and months, Joe Rivera, a PRWT/U.S. Facilities project manager who oversaw the recovery efforts, made multiple trips back to Philadelphia to get all of the necessary parts for the generator, many of which weren’t available on the island. After each trip back to the mainland he returned with “suitcases full of equipment” so that he would have the parts and tools needed to do the job on the ground in Guayama. After just two months, PRWT employees had also restored the wifi connection, allowing many people to be able to come to the center to access and use the internet. PRWT and U.S. facilities employees also were able to have the center’s pools restored by February of this past year. As of the end of May, Rivera said that they were 80 to 90 percent finished and plan to be back at pre-Maria capacity by late July. Rivera said that for himself and the other PRWT/ U.S. Facilities workers, it was a chance to “bring our experience and speed the process up” by boosting the center financially and bringing their knowledge to the table. PRWT isn’t the only private sector company or nonprofit organization who has stepped up to fill a void left by government support in the post-Maria recovery process. FEMA aid has been slow in coming, and much less has gone to Puerto Rico in the wake of one of the island’s worst natural disasters than other locations in the U.S. who have suffered recent natural disasters. Nine days after the respective disasters, FEMA had approved just $6.2 million in individual assistance aid to Puerto Rico for recovery from Hurricane Maria, compared to the $141.8 million for victims of Hurricane Harvey. According to an internal assessment released by FEMA last Thursday, the agency admitted that its response to Hurricane Maria, and was marked by “severe personnel shortages, difficulties coordinating relief logistics, a lack of basic aid supplies, and a lack of local preparation, among other shortcomings,” reported Buzzfeed News.